I had heard great things about Dr Joshi and was looking for a new doc , so I took a chance. I am very happy I did. The office was big and clean, and the staff all personable. Dr Joshi is kind and intelligent, and involved me in the care process. He spent a good deal of time to cover all my concerns. I trust his recommendations and feel at great ease about him taking charge of my healthcare . I had heard great things about Dr Joshi and was looking for a new doc , so I took a chance . I am very happy I did. The office wasbig and clean, and the staff all personable. Dr Joshi is kind and intelligent, and involved me in the care process. He spent a good deal of time to cover all my concerns. I trust his recommendations and feel at great ease about him taking charge of my healthcare . Dr Joshi is a wonderful doctor. He is so patient and always so thorough. Listens to my questions and answers ina manner I can understand. He is truly caring. Dr Joshi is a wonderful doctor. He is so patient and always so thorough. Listens to my questions and answers in a manner I can understand. He is truly caring. **Please note that only sick visits can be scheduled online - ALL well child services and behavioral health services need to contact the office directly. ** *** This clinic does not accept self-pay patients. 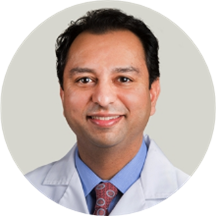 *** Respected primary care physician, Amit Joshi, MD, is highly skilled in a wide range of family medicine and preventive care specialties, such as nutrition and cardiovascular health. As a board-certified family medicine physician, Dr. Joshi practices at the University of Chicago Medicine at Ingalls Family Care Center in Flossmoor, IL and provides passionate, individualized care to his patients. Dr. Joshi attended Rosalind Franklin University of Medicine and Science for medical school before completed his internship and residency at the University of Illinois, Christ Hospital. He is board certified in Family Medicine. In order to best serve you, please remember to provide your unique member ID number on your insurance card for your appointment. If this is not provided, you may expect a call from our office to get that information prior to your appointment so we can verify your benefits. We look forward to seeing you. Very good Doctor. Ask questions to get the answers he needs to resolve your problem.